Second print must be of equal or lesser value. In-store Only. Visit an Opus store location to place your order. Get creative with your print! Choose from our wide selection of paper surfaces to print your photographs, digital illustrations, reproductions, or editions of your favourite pieces, and more! Find the right paper for any image – from photo to fine art reproduction. Print large or uniquely-sized images on Opus brand roll paper stock.We also print on a wide range of premium sheet stock with sizes ranging from 8½" × 11" to 24" × 36". 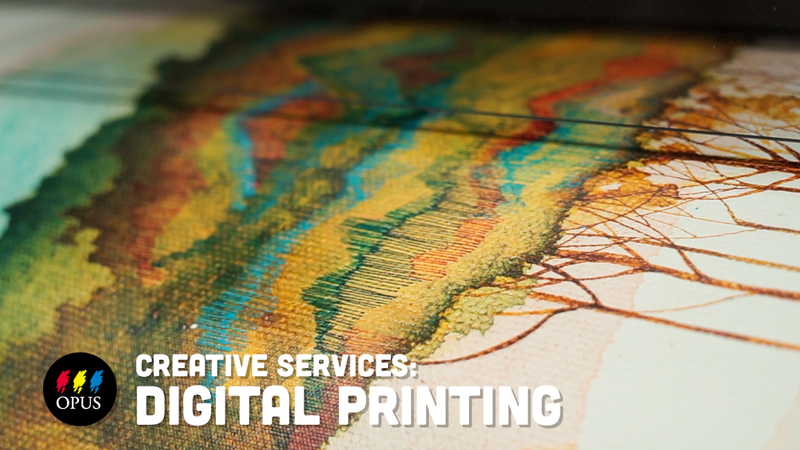 All printing uses archival-quality, pigment-based inks for print longevity.